I knew that I would love my time as a Peer Leader, but I was surprised by how much it has impacted my college career. As any Peer Leader would tell you, this position is way more than just a job. It requires hard work, commitment, and a large amount of dedication. However, the rewards are well worth it. There are no greater feelings than seeing one of your first-year students succeed, feeling the love and support from the rest of the peer leader team, and knowing that you have made an impact on this campus. This position will allow you, and your first-year students, to rediscover love for Ohio State and all that this wonderful buckeye community has to offer. I think meeting so many new faces and being able to connect with them wasn’t the hard part for me, that’s the fun part and why I wanted the job. The hard part is knowing that so many intimidated freshman look to you for guidance and trust you with their stories and intimate insecurities, and it’s absolutely imperative that you remain an unbiased, trustworthy, and supportive voice for them. The job pays off a lot in terms of what you can get out of your experiences and relationships at Ohio State, but don’t come in thinking it’s just about hosting fun events with freshman. You might end up reliving your most problematic parts of your freshman year with someone just like you. I’ve learned how to better hold myself accountable to being that success story I wanted to see my freshman year by talking about the dreams of goals my freshman want for themselves this year. Being a Peer Leader is an amazing opportunity to enrich the lives of others during a very pivotal time in their lives. It is an important responsibility that takes courage, responsibility, and builds character. Every experience is what you make it, and this has the potential to be an unforgettable life changing experience. I think the most important trait of an effective peer leader is compassion. Being compassionate allows me to better care for my students by enabling me to truly work to understand their struggles and help them to determine the best solutions for them. To be a Peer Leader is to be an authentic leader. It’s important to be vulnerable and create a space for others to be vulnerable with you. Share your mistakes! Give what you have learned. And above all else, listen and love all people well. 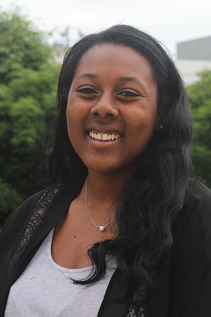 As a Peer Leader, I have learned skills that help me relate, empathize, care for, and serve first year students. The office of First Year Experience not only prioritizes supporting students, but also how we support them. These skills have not only helped me build relationships with first year students, but it has helped me become a better person! This job has taught me that simply caring for people and giving them your time can truly make a difference ion their lives. 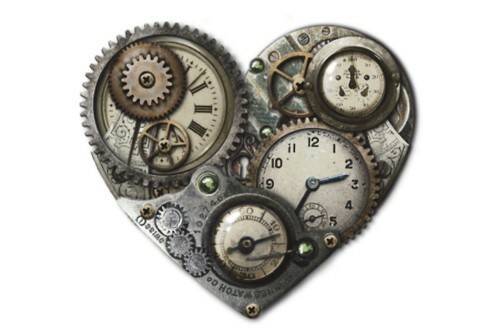 I used to be in the habit of hoarding my time as my own, but now, I cherish the time I get to share with others. I have been so blessed with the opportunity to be a Peer Leader. If you even have the slightest interest in the job – APPLY NOW. You won’t regret it. Knowing that you can provide a student with resources and help them navigate campus from a student perspective and make Ohio State feel like home is extremely rewarding. Being a Peer Leader has allowed me to interact with students that are not like me in various ways. It has challenged me to think about my perspective, opinion, and values because I have learned about different world views and personalities through new relationships. My favorite thing about being a Peer Leader is the opportunity it has given me to cross paths with people who I would not have found on my own. The Peer Leader role is something that you have to be very passionate about. The most important part to me is the student support we do. We work to make sure that we are helping students with their transition to college and giving them the tools they need to make their transition and first year a smooth ride. If someone is not passionate about taking a lot time out of their lives to focus on others, it is a job that will not come as easy. I am very passionate about relationship building and the well being of those around me. It does not make the job easy, but it does make it worth it to me. You have to be self-aware and willing to engage in self-reflection about your experiences, biases, and character, because this job challenges you holistically. You have a lot of autonomy regarding the ways in which you carry out the roles of a Peer Leader, so motivation & creativity and success are positively correlated. 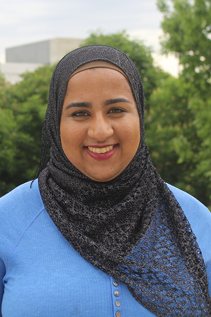 College is a trying time, especially for first year students, but Peer Leaders and First Year Experience are here to be an additional network of support, and I am thankful to have been a part of this process. I have truly learned the definitions of the terms selflessness and diversity. Selflessness is possibly the biggest part of the job, and I think it is tested the most during the school year when you will have to be prepared to assist several first-year students with their questions and struggles while also managing your own personal life. The selfless part is so important because this can be a tiring feat, but staying connected to the goal of supporting first-year students in their transition and realizing the positive impact a helping hand can have on someone’s development is amazing to me. I have truly learned so much from the diversity on our staff and from the students in my groups at orientation. I’ve had the chance to interact and learn from others with differing racial, religious, political, socioeconomic, and sexual identities. Meeting so many different people has changed my worldview for the better and has made me feel more connected to different people like never before! This job challenges what you think you know. It’ll test your boundaries, challenge your assumptions, help you grow, but it’s also an incredibly difficult job to do at times. When you leave this position I guarantee you will learn so much and you will see the world differently. Being a Peer Leader is an experience unlike any other. The people you will meet will have a lasting impact on who you are and how you go through the world. Know that, because you will put so much into the work you do as a PL, you will get more than you would have expected out of it. This is a job where you spend a lot of time helping others so it can sometimes be easy to forget about yourself. So make sure to take time for yourself, do something you enjoy, and practice self-care. There is so much I have learned from being a Peer Leader. First, I feel like it has helped me gain new insight about the students that attend Ohio State. Growing up in the Columbus area, I always felt that I had an idea of what Ohio State was but the role of being a Peer Leader has given me a new perspective. 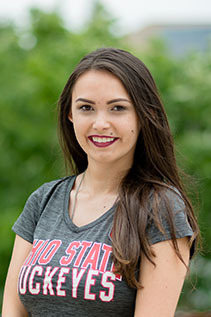 I have learned that Ohio State and the college experience is unique to each person. 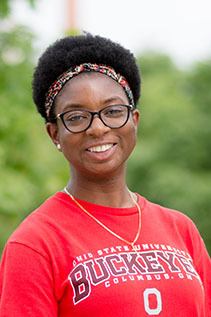 As students explore what college and Ohio State means to them, I truly have seen the value of making connections to other people and resources early. In addition, prior to this job I felt as if I just assumed I knew someone’s story or identity. However, this job has allowed me to learn so much about listening to other’s stories and placing value in their background and experiences. I want to pursue a career where I am around people regularly, and I think this job has shaped me so that I can better understand and support the people I may work with. One of my favorite parts about the job is how genuinely caring the staff is. 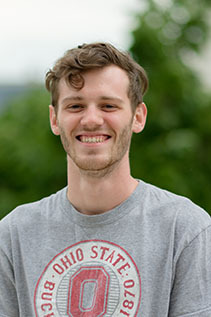 It has helped me feel connected to Ohio State in ways I thought I never would. I always thought that I was going to college purely for academic reasons, however this role of supporting first-year students has aligned well with my interests and passions. My main advice to give to students to be an effective Peer Leader is to have faith in the first-year students you work with. At such a big school, it is easy to feel lost or disconnected but I think it will go a long way for the first-year student to know what someone else has faith in them and is looking our for them. Apply to be a Peer Leader if you truly have excitement and energy about helping people find their way here at Ohio State. It’s a great way to make a difference in the Buckeye community. My love for helping people is what initially drew me to this the Peer Leader role. Being a Peer Leader is a lot more hard work than I thought, but I wouldn’t trade my time in FYE for anything else. I am constantly trying my best to help first-year students feel at home here at Ohio State. I truly love helping them in navigating college life and finding their place on campus. You don’t have to be the 4.0 GPA, super involved, optimistic, well-rounded Ohio State students to be successful as a Peer Leader. It just takes a real person with real experiences who wants to share their story. My biggest piece of advice is that I wouldn’t take this job just because it looks good on a resume. Being a Peer Leader requires a lot of time and emotional investment and can be very difficult at times. With this, however, this job has helped me grow in many ways. Through the support of probably the best professional staff team on campus, I’ve gained maturity, time management skills, professionals skills, relationship skills, and much more. All this being said, being a Peer Leader doesn’t require a superhero of a person who has their whole life together. Being a Peer Leader simply requires a person who is invested in supporting students and will carry out that investment with their time and energy. The connections you make from this experience are ones that you wouldn’t get anywhere else. My fellow Peer Leaders have become some of my greatest friends and the professional staff are great role models to look up to. 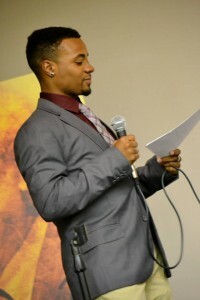 I have gained experience in public speaking, professionalism, communication, and much more all while having a ton of fun! 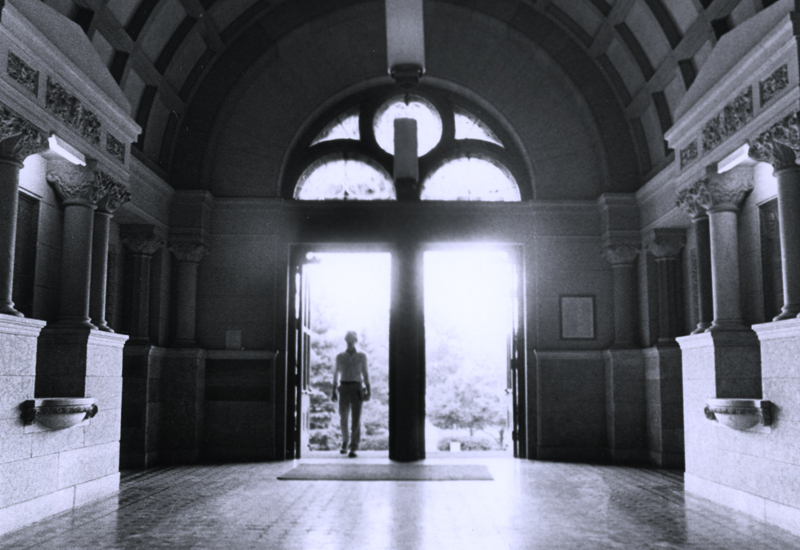 When I was first coming to college, I remember how incredibly terrified I was of the unknown. I remember having so many questions and no one to ask them to. One of the most rewarding parts of being a Peer Leader was being able to calm some of those nerves that the incoming first-years had. Knowing that students left orientation no loner feeling nervous, but excited and ready to come to Ohio State, made all of those early mornings worth it. Everyone has those songs that take them back to a certain time and place. 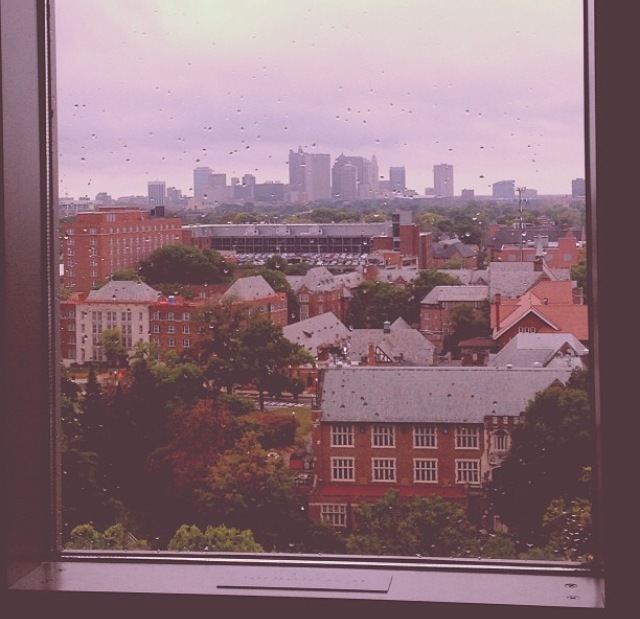 These songs take me back to room 1256 in Taylor Tower circa 2013 (this was before the North Residential District Project, just imagine North Campus without all of the construction–crazy, huh?) and sharing deejay duties with my roommates. For better or worse, these are the songs that will forever remind me of my #new2osu days and my freshman year. My roommate was obsessed with Macklemore, so this song could often be heard playing in our room. 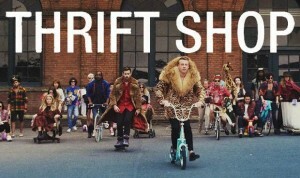 Whether you love or hate this song, you have to admit that it is catchy and can easily be stuck in your head for hours. It managed to be named Billboard’s #1 hottest song in 2013. I’m still not sure what all the lyrics mean, but hey, who doesn’t want to “wear your granddad’s clothes” while looking incredible? Miley Cyrus was having a moment my freshman year. She left her Hannah Montana days behind her (sadly) and smashed into the pop music scene “like a wrecking ball.” Her VMA performance with Robin Thicke and that foam finger was a hot topic of discussion around campus for two straight weeks. I absolutely LOVE this song, probably because of my obsession Nelly (I may or may not know every word to “Grillz” and “Air Force Ones”). It’s such a feel good song and when you add NELLY to the track it makes it that much better. This was one of the first times, and arguably the most successful time, that two completely different genres were combined to produce a top hit. OneRepublic makes my list due to their free concert at the Schottenstein Center that was absolutely amazing! I went to the concert mostly because my friends wanted to go, but I left a OneRepublic fan. “Counting Stars” really hit it big (I like to believe that my roommate playing it at least 100,000 times helped) on the charts and in the hearts of Ohio State students. I had to include at least one of my boy band favs, so this choice is extremely biased. This song was released my freshman year and is still probably my all time favorite 1D song (their new album, Made in the A.M. dropped today though, so this may/probably will change because this is their best album yet). Nothing creates a bond between people as instantaneously as talk about a boy band; I have debated the best parts of the “Story of My Life” music video with many people and made quite a few friends doing it. Reminiscing on my freshmen year is not complete without this song! Ask anyone and I am sure they can think of at least one song that defines their freshmen year of college. What songs will be on your list? I have a feeling that Shut Up and Dance may make your list because it definitely defines my summer of orientation with y’all! Beloit College recently released its annual Mindset List for the entering college class of 2018; the list describes pop culture, political and economic influences on the lifetime of a student. Students vote to implement the COTA bus fee, which provides unlimited city bus transportation throughout Columbus for a flat fee each term. The William C. Davis Baseball Stadium is dedicated. In 2011 the field was named for the 2000 Big Ten Freshman Player of the Year (and current Cleveland Indians player) Nick Swisher, who donated $500,000 to renovations. Campus expands on the north side with the opening of the Jerome Schottenstein Center and the Fisher College of Business. The Schott sees over 1 million visitors annually and Fisher consistently ranks as one of the top business schools in the country. Students leave orientation with their autumn term schedule of classes in hand. Prior to 1999, the schedule was mailed to their home address later in the summer. Formal recruitment for Sorority and Fraternity Life moves from early autumn to the beginning of winter term, allowing new students to have the fall to get adjusted to campus life before deciding whether to join a Greek organization. Our synchronized swimming team earns the first of five consecutive national championships; the team has earned 28 national championships over its 80-year history, more than any other athletic team at Ohio State. First Year Experience is established to help new students get started, make connections, and get answers in their first year (and beyond). The Ohio Stadium capacity exceeds 100,000. Summer 2014 renovations will bump capacity to more than 104,000, making the ‘Shoe the third largest stadium in the Big Ten (behind Michigan and Penn State). BuckeyeThon has its first dance marathon; it is now the largest student-run philanthropy at Ohio State, raising money to support kids at Nationwide Children’s Hospital. Football coach Jim Tressel begins the tradition of singing the alma mater, Carmen Ohio, after each football game. Ohio State wins the 2002 football national championship against Miami (FL) in double overtime (technically, the game was played on January 3, 2003). Commencement is moved from Friday to Sunday as a convenience to graduating students’ families and out-of-town guests. The first Student Activity Fee is implemented, giving students access to hundreds of events and activities on campus and in the surrounding community. Wireless technology begins to emerge across campus. 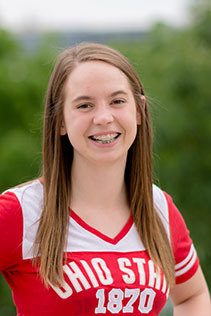 Women’s Pistol earns its second national championship. 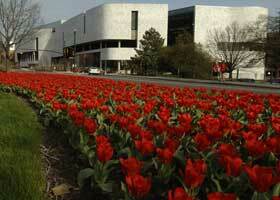 Knowlton Hall opens and houses the Knowlton School of Architecture; the building earns numerous architectural awards. Several new buildings open in time for autumn classes, including the RPAC, the ARC, and the Physics Research Building. The College of Education and the College of Human Ecology merge to form the College of Education and Human Ecology. Ohio State quarterback Troy Smith wins the Heisman Trophy, the most prestigious award in college football. 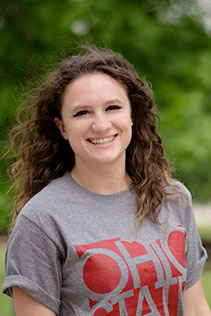 Jessica Hanzlik is Ohio State’s first female Rhodes Scholar. 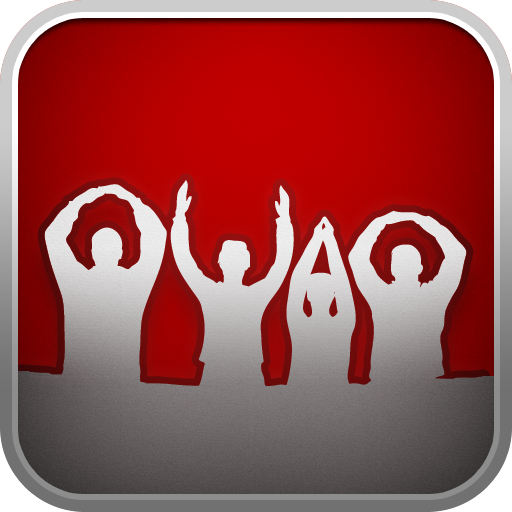 Ohio State joins Facebook; the page now has more than half a million “likes”. The College of Public Health is created. Forty Brutus Buckeye statues are displayed around the Schottenstein Center as a fundraiser for the Thompson Library renovation project. Many of them can still be seen around campus today. 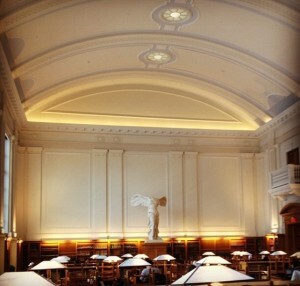 Thompson Library reopens after major renovations; the Grand Reading Room (overlooking the Oval) and Campus Reading Room (top floor) are beloved study spots on campus. The first Pelotonia participants bike to raise money for cancer research. The new Ohio Union opens in March. The original Ohio Union was the first student union at a public university. Entrepreneur Leslie Wexner donates $100 million to Ohio State; the Ohio State University Medical Center is renamed Wexner Medical Center in his honor. Ohio State switches from quarters to semesters, transforming the typical academic year from three 10-week terms to two 15-week terms. 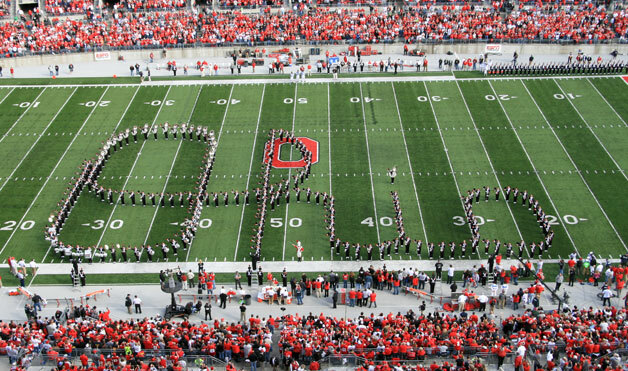 TBDBITL goes viral after one incredible halftime show, with over 1 million YouTube hits in 24 hours. The North Residential District Transformation project breaks ground; it will yield 11 new buildings and 3,000+ beds upon completion in 2016. What did we leave out? Let us know! INCORRECT More-EL Tower (Morrill Tower, emphasizing the second syllable). CORRECT MORE-al Tower (Morrill Tower, emphasizing the first syllable). Morrill Tower was named for Senator Justin Morrill of Vermont, the individual responsible for the Morrill Act of 1862 which provided federal funding for land-grant institutions, including The Ohio State University. INCORRECT East 18th Avenue Building (EA Building). CORRECT West 18th Avenue Building (EA Building). EA stands for EIGHTEENTH AVENUE, not East 18th Avenue. The building has not been name after anyone (yet! ), so its formal name is the address: 209 W. 18th Avenue. CORRECT St. John Arena (no apostrophe and not plural). The arena was named for Lynn St. John, who served as Ohio State’s men’s basketball coach and longtime athletic director…but he doesn’t own the arena (so it’s not a possessive apostrophe). This historic arena is the site of the President’s Convocation on Monday, August 25th. INCORRECT SEL (Science & Engineering Library). CORRECT 18th Avenue Library. You may hear upperclass students use SEL (the former name) for this 24-hour university library on 18th Avenue. Feel free to correct them; the library contains many more resources than those just for science or engineering. INCORRECT Central Classroom Building and Enarson Hall. CORRECT Enarson Classroom Building and Hale Hall. Central Classroom Building on Millikin Avenue was renamed Enarson Classroom Building in 2013 after Enarson Hall on 12th Avenue was renamed Hale Hall (the Hale Black Cultural Center was torn down and relocated here). Crazy confusing, right? INCORRECT Resuscitation: to bring (someone who is unconscious, not breathing, or close to death) back to conscious or active state again. CORRECT Recitation: small class section where quizzes are taken, homework is reviewed, and questions from the lectures and readings can be addressed. INCORRECT Foreign students, foreign professors. 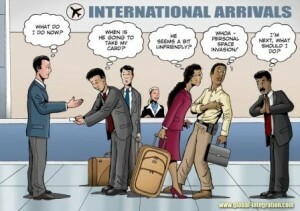 CORRECT International students, international professors. Anything that belongs to a country other than your own is foreign, but anything that involves more than one country is international. INCORRECT Teacher, counselor, school nurse. CORRECT Professor/instructor, advisor, health center. Be sure to shed the high school lingo for the preferred words in higher education. CORRECT Meals blocks are used for food/meals in on-campus, university-owned dining facilities only (and expire at the end of each term). BuckID cash may be used on-campus or off-campus, at restaurants (McDonald’s, Starbucks, Chipotle, etc. ), bookstores, convenience stores, and for things like laundry or printing; BuckID cash stays on your card from one term to the next. CORRECT Ohio State. Otherwise, we don’t know if you’re talking about Oklahoma State University, Oregon State University, or the Office of Sustainable Utopias. That’s our list…did we leave anything out? Let us know! Before you move onto campus in about a month, think about what you want out of your Ohio State experience and let these bits of wisdom help you create an amazing first year. 1. Never let Facebook be the ultimate judge of someone’s character | Do not believe everything you see. Just because someone lives (or posts) differently than you does not mean he or she will be a bad person. 2. Sleep is so, so good | It’s important to take care of yourself. All-nighters will not help you pass an exam because in reality, the majority of the time you will be too tired to think straight. 3. Focus on being a good roommate, not a best friend | Concern yourself with being a considerate roommate and don’t expect to be his or her best friend. You can still be good roommates and have a great living experience together if you’re simply respectful and courteous. 4. Communicate | With roommates this is especially important. Nothing will ever get resolved unless you have honest and open discussions. 5. Get to know your professors | They are here to help you learn and grow. Talk to them and ask for help. 6. Don’t do laundry on Sunday night | Try selecting a different day and time when more machines are available. 8. Ask for help | There are so many people at Ohio State that want to make your experience amazing. Help is available, just ask! 9. Be yourself! | Why be someone else when you can be you? 10. Surround yourself with great people that will push you to your best, celebrate you, and pick you up when you are down. 12. Wash your bedding/sheets and blankets. 13. Meet new people | People want to make friends but are often too scared to make the effort. 14. Keep your Facebook appropriate | It’s the world wide web, y’all. 15. Don’t leave your belongings unattended | They may not be there when you return. 16. Let yourself be a first year student | Your first year of college will be amazing and full of fun programs, just for you. 18. Be smart with money | Create a plan and stick to it! The Wellness Center in the RPAC can help you! 19. 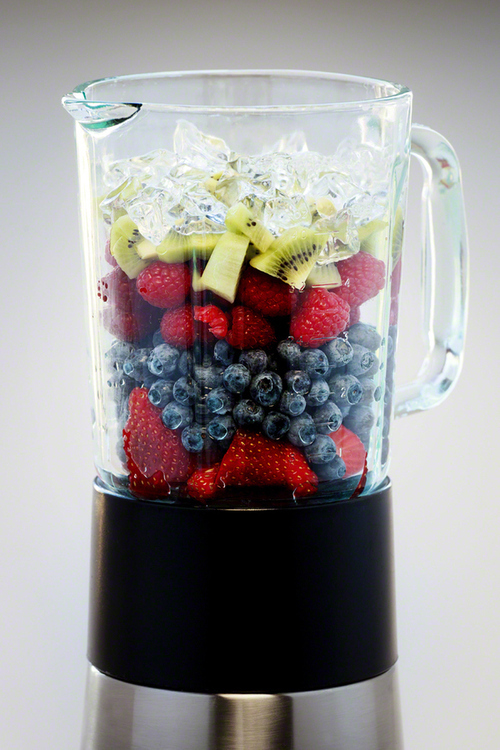 Stay healthy | Watch what you eat and go to the gym (great stress relief, too!). 20. Reflect daily | Make sure you are making an effort to stay on track with physical, mental and emotional health. Do not let a breakdown be your first indicator. 21. Do not let stereotypes decide your feelings about people | People will surprise you in both good ways and bad. 22. Take time to be alone | You will need the time to decompress and chill. 23. It is okay to go to a dining hall and eat alone. 24. Cheer for the Buckeyes | Whether in athletics, residence halls, or our classes – be there to support your team and your entire community. We are all in this together. 25. Check your syllabi | Keep track of your assignments because your professors will not always remind you about them. 26. Get an agenda/planner/calendar | It will help you keep track of your life and help you manage your time. 27. Be silly | Get out there and be awesome! Order pancakes, chicken fingers, and a milkshake at Sloopy’s every so often, talk to the people in your class, and dance like there is no tomorrow! 28. “Don’t be scared to walk alone, don’t be scared to like it” | This lovely lyric from John Mayer speaks volumes. You are more independent at college and have the opportunity to do what makes you happy and study what interests you. Be your own person and don’t be afraid of the changes you will make in your life (for the better of course). 29. You decide your experience | Make wise choices and be all that you want to be. Don’t wait for something amazing to happen to you, go make it happen yourself. 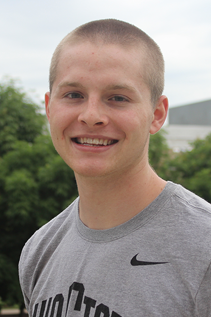 Stay tuned for July 14 when Brandon will write about 31 Ways Your First Year is Like Your Favorite Flavor of Ice Cream! Ohio State is a very special place. Here are just some of the things you can do to take advantage of its many incredible opportunites! 1. Learn to love our alma mater. At Ohio State we sing “Carmen Ohio” at the end of athletic events and student organization meetings–and of course at graduation. Get a head start and learn Carmen here! 2. Enjoy the rivalry. Welcome to the winning side of the intense rivalry between Ohio State and Michigan! Go Bucks! 3. Run along the Olentangy Trail. While campus offers state-of-the-art recreational centers, pounding the pavement on the Olentangy Trail can be a nice change of pace in favorable weather. Grab a friend, stay in shape and explore this little piece of nature in an urban setting! 4. Attend an Ohio State football game. The Ohio Stadium, AKA The Shoe, is a registered historic landmark built in 1922. Today it seats over 100,000 people! Be sure to check out the beautiful rotunda on the way to your first game! 5. Play with puppies on the Oval! Many upperclassmen at Ohio State bring their pets to the Oval. Why not stop by and pet a puppy between classes? 6. Visit the rooftop garden of Knowlton Hall. Simply discover its beauty! 7. Take a chocolate science class. To earn one elective credit hour and learn a whole lot about chocolate, enroll in Food Science and Technology 1110. 8. Stroll around campus and notice the amazing variety of architectural styles. From the modernity of the RPAC to the Richardsonian Romanesque style of Orton Hall, there is something for everyone to enjoy on campus. 9. Gather a group of friends and request a tour of the Byrd Polar Research Center. This center collects, maintains and studies ice cores from glaciers. It is one of the leading centers for this type of research in the world! 10. Schedule a visit to the Center for Automotive Research. Here you can learn about one of Ohio State’s research initiatives and visit the Buckeye Bullet, one of the fastest race cars in the world, built entirely by Ohio State students! 11. Head to the 11th floor of Thompson Library. Here you can enjoy stunning views of campus and downtown Columbus. 12. 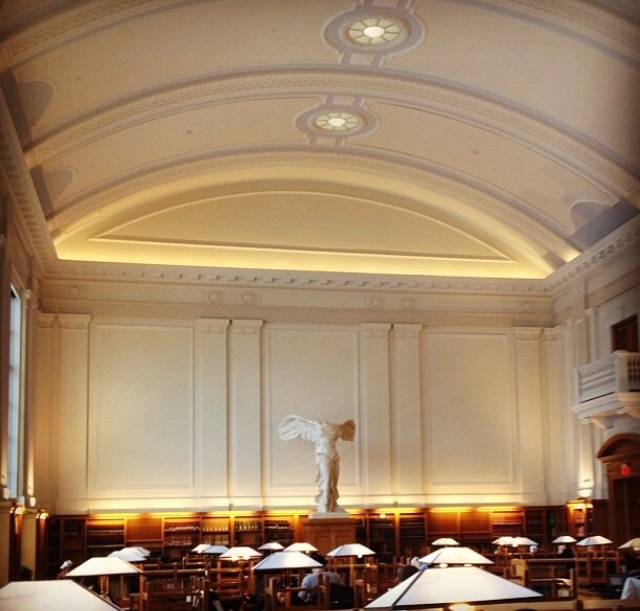 Take in the beauty of the “Winged Victory” sculpture in Thompson Library. The original stands in the Louvre in Paris, but Ohio State has its own replica right here on campus! 13. Go on a Buck-I-SERV trip. While many schools offer alternative break programs, not many are as impressive as the Buck-I-Serv program here at Ohio State. Indulge your wanderlust and help others by applying to one of the many service programs! 14. 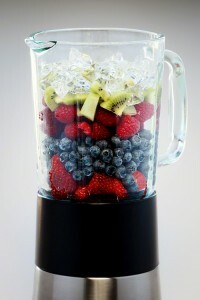 Get a smoothie at the RPAC! RPAC smoothies are absolutely incredible. Just trust me on this one. 15. Head to the Outdoor Adventure Center (ARC) and climb the 35-foot-tall rock climbing wall! Admission is already included in your student fees. You just need your student ID! Leave your fear of heights at home! 16. 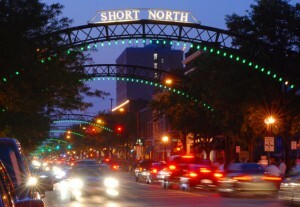 Take the COTA bus to a fancy dinner in the Short North, a trendy neighborhood just south of campus. COTA bus transportation is also included in your fees for the semester — take advantage of it! 17. 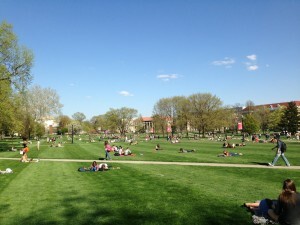 Take a stroll down the Long Walk of the Oval. If you walk hand in hand with your significant other while the Orton bells are ringing and no one crosses your path, your love is said to last forever! 18. AND FINALLY: Experience the feeling that comes with being a Buckeye! Whether you have already felt it or not, I believe there comes a time in every Buckeye’s life when that person appreciates what it means to be a student at the Ohio State University. For you, that moment may come at orientation or it may come a bit later. But at some point, you will realize you are a Buckeye for life. Be sure to catch the next blog post from Cody explaining the 19 Most Important Acronyms at Ohio State! Ohio State is home to many traditions, stories and myths. 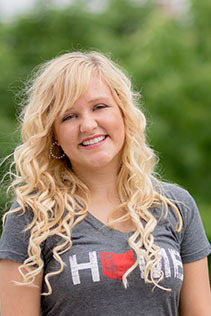 In this post (coinciding with the 13th day of orientation), I will share a bit of this “Buckeye Spirit” as I explain 13 of my favorite Ohio State myths and traditions! Hopkins Hall is home to one of my favorite ghost stories. According to the story, a girl was stuck in an elevator and while struggling to get out she left her handprints all over the elevator doors. Although they say she safely made it out, on the left side of the building you can supposedly see her handprint, a symbol of her struggle inside. Legend has it that no matter how many times someone tries to remove this print it always reemerges. 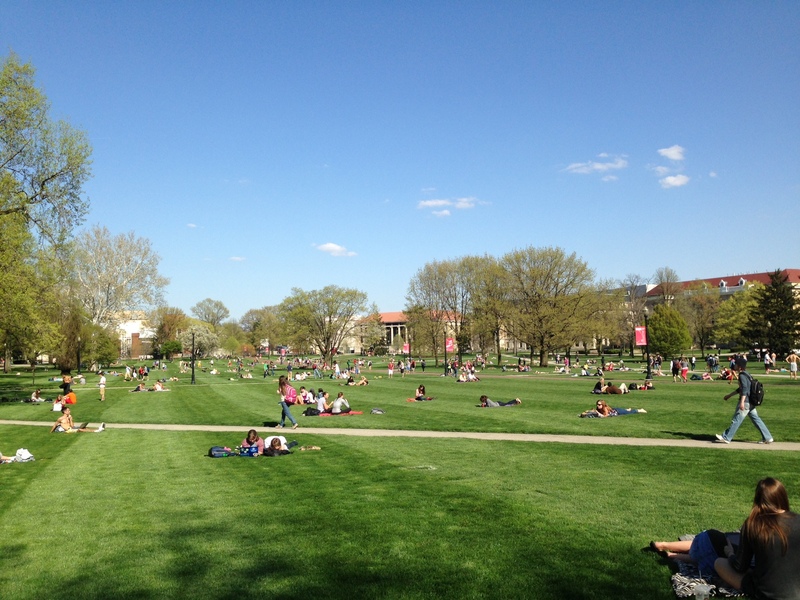 The Oval (known by many as “Oval beach”), the grassy field on central campus, is a great place to socialize and relax when the weather is favorable. Make sure you have a beach towel ready for those warm days of spring when this local paradise comes to life with activity. Historically, Ohio State’s freshman and sophomore classes had a tug of war competition stretching over Mirror Lake every year. (One may assume the losers had wished that had brought a change of clothes!) Today however, students no longer partake in this tradition. Before classes start in the fall, the Ohio Union Activities Board organizes a concert. 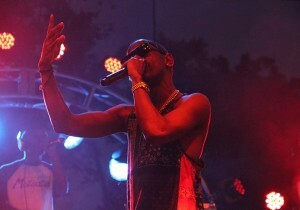 During the past two years, big-name artists such as Krewella, Lady Antebellum, One Republic, 2 Chainz and Big Sean have preformed. In my opinion, the best part about this concert is that you do not have to purchase the tickets, as a student you simply just show up! Ohio State has many traditions rooted in love. Some include a classic first date at Mirror Lake, a marriage proposal through the Hayes Hall whispering arch or going down the Oval long walk with your partner (granted, legend has it that no one can cross your path and the bells of Orton Tower must be ringing in order for “your love to last forever”). Whatever the circumstances, chances are you can find opportunities for romance here at Ohio State! Before the holiday season starts in the fall, Ohio Staters Inc. decorates the trees of Mirror Lake with beautiful holiday lights. Before you graduate, be sure to grab your friends and attend this incredible event. The myth, the legend, the duck. Ohio State’s Afro Duck has become a campus celebrity. Some hypothesize that Afro Duck has a tumor, while others claim that its afro is a symbol marking his “alpha” status among his fellow ducks. 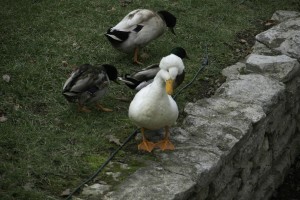 The truth is though that Afro Duck is part of the crested mallard species. Make sure to follow him on twitter @OSUafroduck to stay up to date on his tweets! Despite the common misconception, Pomerene Hall no longer has an indoor pool. Once known as the “Women’s Union,” Pomerene Hall was reserved for Ohio State’s female students and included a gymnasium, lounge and pool. During the week leading up the The Game, students rally together and create various events to show school spirit. For example, students use red tape to cross out all of the letter Ms on campus buildings and signs in order to contest our rival, That Team Up North. False! 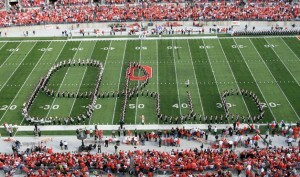 Although many students rally behind their football team, Ohio State is not just its football team. The university is full of opportunities for excitement, regardless of whether you care for sports or football! Use our climbing wall, experience downtown Columbus, visit the cartoon museum or see the giant sloth skeleton in Orton Hall to find your own avenue of excitement! Want a different view of Orton Hall? Ohio Staters Inc. can actually take you to see inside the bell tower. Just register your group through their website and they’ll make arrangements to take you to the top! This is a myth! It turns out that Ohio State has one of the largest alumni networks in the country. This becomes apparent when you travel out of state. For many international travelers wearing Buckeye gear, out of nowhere random people have noticed their attire and responded to “the silent call of Buckeye love” by signaling O-H with their arms. For me, it is the greatest feeling in the world to know that the Ohio State family stretches across the world and that I am never far from my Buckeye family. 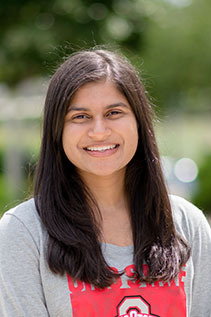 Make sure to check us out on Friday when Sumedha lists The Freshman 15: The Fifteen Things You Should Eat Around Campus. 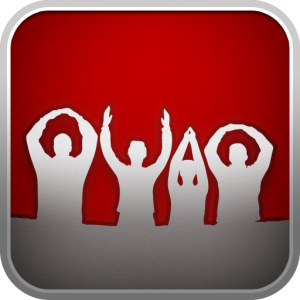 Are you nervous about moving to Ohio State? Worried that you are going to over or under pack for your new room in a residence hall? Scared that you’re going to forget something important? If you answered yes to any of these questions, you are in the right place! To kick off the eleventh day of Orientation, I’m here to let you know about the 11 things you should always keep in your room when you get to Ohio State. 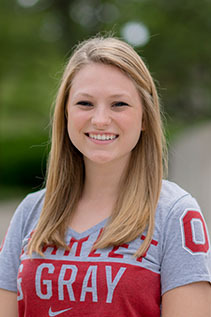 Having a computer or access to one is essential to your success as an Ohio State student. The university’s primary method of communication is through email and your professors will often use Carmen (our electronic hub for class information) for homework and quizzes. If you don’t have a computer of your own, don’t worry! The university has many computer labs that students can access for free! Let’s be real here — young people stink. You may wash your clothes and your body every day, but that doesn’t mean that your roommates or floor mates follow the same routine. Living in small spaces with many people is a breeding ground for the smelliest kinds of smells. Bring the air freshener and this problem will disappear! For most first-year students, this is the first time you’ll be away from home. That means it’ll be the first time you’ll be taking care of yourself if you get sick. When it comes to medicine, bring it even if you think you’ll never need it. Cold medicine, pain relievers, immune system boosters, cough drops— bring it all. A thermometer won’t hurt either. I’ve always believed that the easiest way to make new friends is by playing a super intense game of cards with a group of strangers. If you aren’t into card games, bring something you do enjoy. Cards Against Humanity, Bananagrams, Monopoly — a game that requires more than one person to participate is a great way to connect with your roommate and hall mates. Your sheets are super dirty, but you’re too tired to do anything about it! Having extras will definitely come in handy at that moment, and great for the busy college student who doesn’t have time (or doesn’t want) to clean. If you’re planning on trying to plug in more than four things in your new room, bring an extension cord. Trust me. There is no worse feeling than when you’re working on a paper late at night and you have an undying hunger that can’t be satisfied with vending machine potato chips. You may find that, as a college student, you start to put a lot more caffeine into your body than you did previously (or at all). By no means is this necessary to survive your classes, but if you start to drink a lot of coffee or tea, it will be much more cost effective to have your own machine (and you won’t have to wake up so early to go out and get some before class). You don’t realize how much it rains in Ohio until your main mode of transportation is your own two feet. Bring an umbrella, rain boots and/or rain jacket or you’ll quickly discover that the worst state of being is a soggy one. I bet you remembered that you need to bring clothes, but did you remember hangers? This is the biggest thing I hear about students forgetting at home, but having these glorious plastic triangles in your closet is actually kind of a necessity. Ohio State is full of opportunity and it’s a huge place. Because of that, you may (at times) feel lost and homesick in your first year here. When I was a first-year student, I found that the best thing I did to combat those feelings was bring photos of friends and family members and hang them where I would see them every day. Surrounding myself with something familiar enabled me to turn Ohio State into my home away from home. 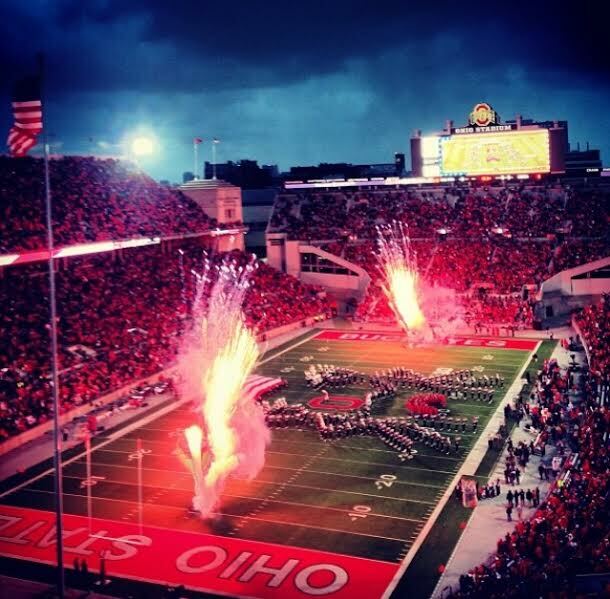 Come back on Wednesday to read about Thirteen Myths and Traditions of Ohio State, brought to you by Marcos Olivarez! It’s Day 10 of orientation, which means I’m here to share with you the 10 people you may meet at Ohio State. Here we go! 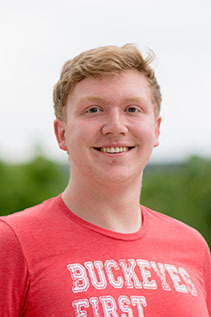 This student typically has a very memorable personality and has likely been committed to a student organization since stepping on campus for the first time. 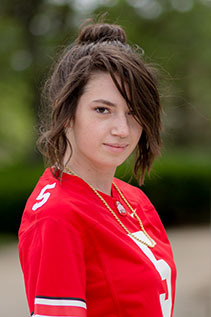 This student says “hi” to anyone and everyone on campus (celebrities know many people!). The campus celebrity could be motivation for you to become involved on campus…or campus celebrities could make you late for everything because of the number of people they stop to talk to along the way. There are nearly 1,000 student organizations on campus and there can be students who just want to be part of everything. Finding them can be a gift and a curse: a gift because you will have the opportunity to participate in things you could probably never imagine; a curse because you will probably get invited to everything! The key to campus involvement is balancing commitments (co-curricular, academic, social, etc.). Not all athletes are the same. 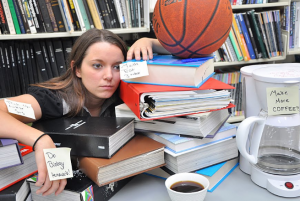 There are so many sports that are offered on campus, and there could be an athlete in your hallway or even your room. 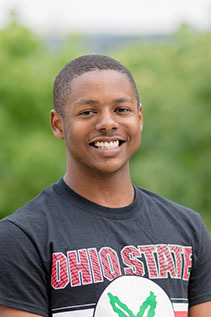 Some students meet an athlete that they become particularly close with because athletes can offer a unique campus perspective…the athlete is just one more person who adds to your well-rounded Ohio State experience. Saving money is something that many college students (and parents) love to do! 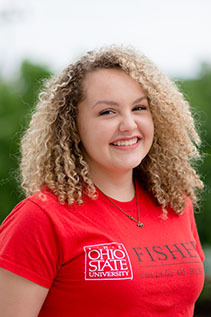 Find a friend at Ohio State who loves to thrift shop – this person usually know where to go to save a couple dollars. Students who can connect with a peer in a difficult class are more likely to achieve success. The Classmate Soulmate can help you more solidly comprehend the course material through things like review sessions and scheduled study times. Connecting with your peers around academics could be the difference between getting an A in a class instead of a C (or worse! )…and those helpful peers could become good friends along the way! 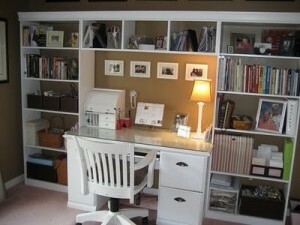 Similar to the Classmate Soulmate, Ultimate Organizers prove that no one can be too organized. From their socks down to the color of the pen they use for each class, they fully embody the word organization. The greatest benefit to you in befriending an Ultimate Organizer is that you’ll know exactly where to be, when to be there, and what you need to take with you. Cultural Clarifiers come from backgrounds different from your own. 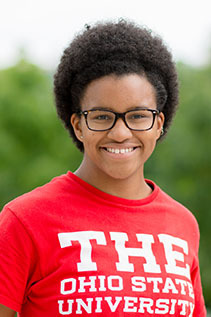 The diverse student body at Ohio State provides students with opportunities to learn more about unique cultures, customs, and traditions that they may not have known about prior to beginning their college journey. Cultural Clarifiers take pride in their cultural heritage and are excited to share aspects of their heritage with others. Everyone should have a friend with a little Mariah Carey in their vocal cords or who can make anyone swoon with a saxophone! Meeting students who are into music or who love to perform helps you to release that inner celebrity that is only heard in the shower at home. Musicians can give great musical insight, and this can be a student who could accompany you to concerts or other music-related events that occur on campus and in Columbus! WOW! We basically live the same life. 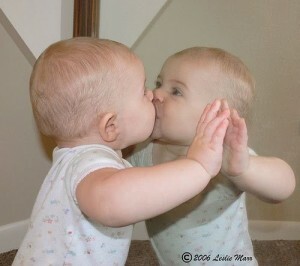 The Mirror Image is someone great to have around when you need someone who can relate to you! This person usually ends up becoming a best friend because you can spend hours on end talking about life experiences, academics, interests, family and even those unnatural obsessions you have with One Direction or Taylor Swift. 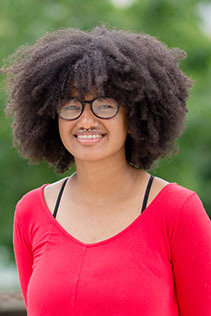 Alante’ Ward is the current president of the Black Student Association (hint hint, wink wink). He is a social butterfly who loves to make others laugh and smile. 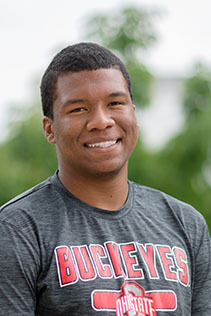 Also, he does a great job at representing a student who embraces his own ethnic culture, while at the same time adding to the overall student culture at Ohio State. I guarantee after one conversation, the rest of your day will be filled with smiles! 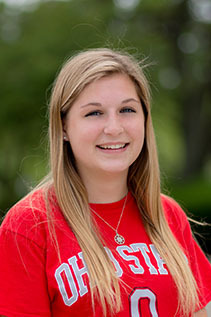 For Day 11 of orientation on Monday, check out Lexi Fannin’s blog post about the 11 items that should always stay in your room! We have reached the 8th day of Ohio State orientation and in honor of this 8th day, I will share with you the 8 ways your first year is like falling in love. When first falling in love you may feel anxious, nervous and excited — what we commonly refer to as experiencing “the butterflies.” These butterflies are the similar to the feelings that students have before they enter their first year of college. Many students begin to feel anxious and excited as they think about their classes, their roommates or simply adjusting to a new lifestyle, unlike anything they have ever known before. Being nervous is normal. However, I encourage you to approach your first year with an open mind and to experience the new things available to you. This “leap of faith” toward your newfound love (Ohio State, of course!) can make your freshman year truly amazing. Falling in love requires finding the right person. 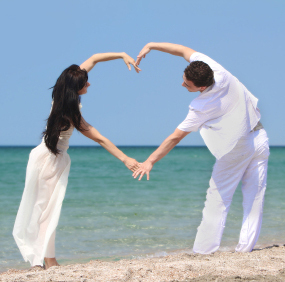 When falling in love, you may search for “the one” or the person who is the right fit. 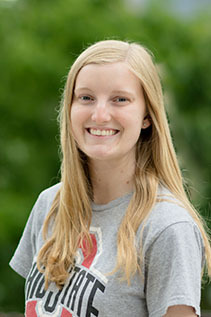 This involves trying new things and learning about different people, similar to the Involvement Fair, which is held on the Oval on the first Sunday of Welcome Week. There are over 700 student organizations represented on the Oval with members eager to speak with new students about that club or organization. These groups gather there with the sole purpose of sharing their passions and interests with incoming students, hoping to create a connection. Like dating, it is a time for first-year students to learn about different student organizations and find the right path of involvement. When going on your first date, one of the biggest decisions is deciding where to eat. Just like a date, your first year offers many dining options at the university. 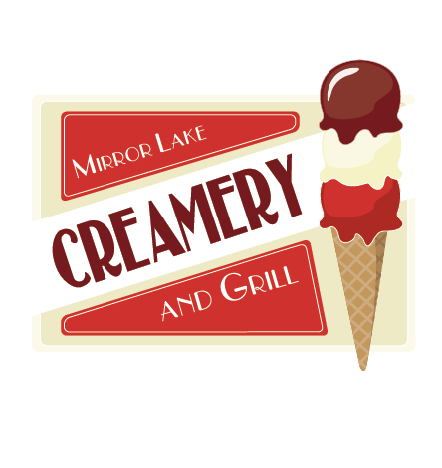 Some of my favorites include the Ohio Union, Kennedy Commons, Fresh Express and Mirror Lake Creamery (voted the best “cheap date” location on campus)! The honeymoon phase includes the early stages of a relationship when everything feels exciting and new. This can be compared to the first six weeks here at Ohio State, when first-year students start to make their connections and begin to adjust to their new lives and environments. My piece of advice for you is to stay on campus as much as possible during these first six weeks to take in the excitement and to develop these new relationships. In love stories, the “first kiss” is a magical moment, symbolizing the love and connection between two people. It’s a moment full of beauty and understanding and one that is not easily forgotten. This “magical first kiss moment” is similar to another magical moment during your first year at Ohio State. It’s the moment where you become a part of the Ohio State family and truly understand what it means to be a Buckeye. 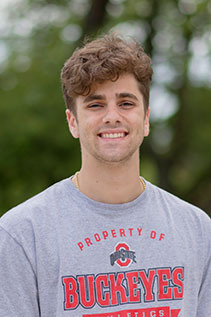 This could be the first time you sing “Carmen Ohio,” the first time you connect with your roommate, when you join a student organization, or even your first year orientation. Love can come with some bumps in the road. Problems arise and fighting happens but sometimes this is what makes relationships healthy. These disputes can offer opportunities to learn, grow and develop. Your first year may not be perfect, but challenges will serve as a way to grow as you begin to learn more about yourself and more about the world. A big step in a relationship is making the decision to spend more time with that person. Eventually some couples spend so much time together, they begin to learn the intricate details about a person (their cleanliness, daily habits, etc.) similar to moving in with your roommate during your first year. This could be one of the first times you learn how to cohabitate with someone and what it’s like to be away from your home and your family. This is the special moment where two people express the feelings and emotions that have been developing for each other. Realizing how much you love a person can be similar to recognizing your attachment to your university. For me, I realized that I’ll always have a place for Ohio State in my heart because of my wonderful memories here and the simple fact that I am and always will be a Buckeye for life. 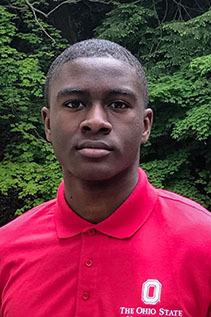 Check out our blog on Friday to read our 10th day of orientation post from the amazing Alante’ Ward…he’ll discuss the 10 types of people you meet during your first year!